Timeline, 2008: They say that in space, no one can hear you scream (or at least that Alien movie said it). The reason for that is that sound waves require matter to be propagated, and in the vacuum of space, there is no matter. Hard as your vocal cords may push, they can’t make the sound travel through nothing. That vacuum carries other complications for people beyond an inability to chat unprotected. Space is cold—temperatures run close to absolute zero, or -272 Celsius. With the vacuum, there is no oxygen and no pressure. And let’s not forget the bombardment with deadly cosmic rays and, if you’re hanging around just above Earth, UV rays 1000 times more powerful than those we experience on terra firma. Boiling saliva and bubbling blood. Ewww. Thus, if you send person or a dog or an ape unprotected into space, within minutes, the lack of pressure would lead to an uncomfortable death involving boiling saliva and bubbling blood. Yet, there are organisms known to survive the environment of space, primarily some bacteria and lichen, the symbiotic combination of algae and fungus. Now, we’ve learned that a little critter that lives on lichen also can be quite the intrepid space traveler. The space animals—the first animals, in fact, known to pull off unprotected space travel—are representatives of two species of tardigrades. There are up to 1000 species of these little animals, more familiarly known as “water bears” because of their rotund, bear-like appearance. Researchers had noted their hardiness under earthbound conditions, observing that although the animals thrive in a damp environment, when conditions go dry, they can shut down for as long as 10 years until the environment moistens up again. Some accounts have compared the water bears to “Sea Monkeys,” the brine shrimp of comics advertisements that come to you dried up in a little packet, only to “miraculously” come to life when you add water. On a September 2007 European Space Agency mission, scientists decided to test the tardigrades in the most hostile environment available—in space just above planet Earth. They tested two species of water bear, Richtersius coronifer and Milnesium tardigradum, both entering space as dried out versions of their usual selves. The 120 animals from each species were divided into four groups, one that remained on Earth as a control, two that were exposed to the vacuum of space and different combinations of UV rays, and a fourth that experienced only the vacuum of space without the radiation. The animals spent 10 days traveling unprotected far above the earth before returning to Earth, where they were hydrated in the lab. Amazingly enough, all three groups of space-traveling tardigrades initially perked right up and lived for a few days. After that, however, only the vacuum-alone group maintained that rate of survival. In the UV-exposed groups, animals that had experienced the vacuum of space and exposure to UV-A and UV-B survived at rates between 10% and 15%. Animals that had been exposed to all three types of UV—A, B, and C—all died. Nevertheless, the animals that did survive appeared to thrive, reproducing heartily and generally living the usual life of the unusual water bear. Researchers find their ability to withstand radiation particularly intriguing, given that the bombardment would normally shred the DNA of most organisms. Investigators hope to find out more about how the bears resist the perils of space, seeking perhaps to co-opt some of the tardigrade’s techniques to use in protecting astronauts. Space, schmace. How about 4000 m deep? Tardigrades didn’t really need to travel into outer space—or really, inner space—to prove their toughness. They are known to live as high as 6000 meters up in the Himalayas and as deep as 4000 meters down in ocean trenches. 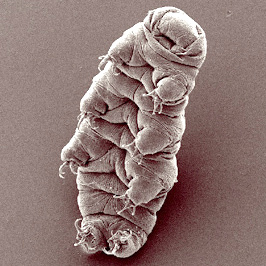 Water bears have also been found living in apparent ease in hot springs above boiling temperature. Timeline, 2006: The narwhal has a history as striking as the animal itself. Vikings kept the narwhal a secret for centuries even as they peddled its “horn” as that of a unicorn. Narwhal tusks were so prized that monarchs paid the equivalent of the cost of a castle just to have one. They were thought to have magic powers, render poison ineffective, cure all manner of diseases, and foil assassins. As it turns out, the horn is really just a tooth, an extremely long, odd, tooth. The narwhal tusk, which usually grows only on males from their left upper jaw, can reach lengths of six feet or more. Sometimes, males will grow two tusks, one on each side. The tooth turns like a corkscrew as it grows, stick straight, from the narwhal’s head. They are such an odd sight that scientists have been trying to figure out for centuries exactly what that tusk might be doing there. Some have posited that the narwhal uses the tusks in epic battles with other male narwhals. Others have fancifully suggested that the animal might use the long tooth to break through the ice, ram the sides of ships (nevermind the disconnect between when the tusk arose and when ships entered the scene), or to skewer prey—although no one seems to have addressed how the narwhal would then get the prey to its mouth. The facts are that the narwhal rarely, if ever, appears to duel with other narwhals. Its primary use of the tusk appears to be for tusking other males, in which the animals gently rub tusks with one another. They also may be used in mating or other activities, although that has not yet been demonstrated. But what has been discovered is that the narwhal ought to be suffering from a severe case of permanent toothache. Anyone who has ever had exposed nerves around their teeth knows that when cold hits those nerves, the pain usually sends us running for the dentist. Now imagine that your tooth is six feet long, has millions of completely exposed nerve endings, and is constantly plunged in the icy waters of the Arctic. You’ve just imagined being a narwhal. A clinical instructor at the Harvard School of Dental Medicine who thinks of nothing but teeth made this discovery about the narwhal. The instructor, Martin Nweeia, can wax rhapsodic about teeth and how central they are to our health and the stories they can tell even about how we lived and died. He has carried his tooth obsession beyond his own species, however; his passion led him to spend days on Arctic ice floes, watching for the elusive narwhal, or at least one of the tusks, to emerge from the deadly cold water. He also befriended the local Inuit, who rely on the narwhal as a source of food and fuel oil. His fascination and rapport with the Inuit people ended with his viewing several specimens of narwhal tusks. What he and his colleagues discovered astonished them. The tusks appeared to consist of open tubules that led straight to what appear to be millions of exposed nerve endings. In humans, nerve tubules are never open in healthy teeth. But in the narwhal tusk, which is an incredible example of sexual dimorphism and the only spiral tooth known in nature today, these open tubules were the norm. The researchers speculated that the animals may use this enormous number of naked nerves as a finely sensitive sensory organ. In addition, it is possible that the teeth transmit voltage through a process called the piezo effect, in which crystals generate voltage when a mechanical force rattles them. In the case of the narwhal, who swim quickly through the water, water pressure might provide the force. Because narwhals are among the most vocal of whales, the tusks could also be sound sensors. Why would dentists be so interested in the tusks of a whale? Examinations of the narwhal tusks have revealed that they are incredibly flexible, unlike our teeth, which are strong but also rigid and comparatively brittle. It is possible that understanding the narwhal tusk might have clinical applications for developing flexible dental materials for restoring pearly whites in people. Beethoven died of lead poisoning–or did he? 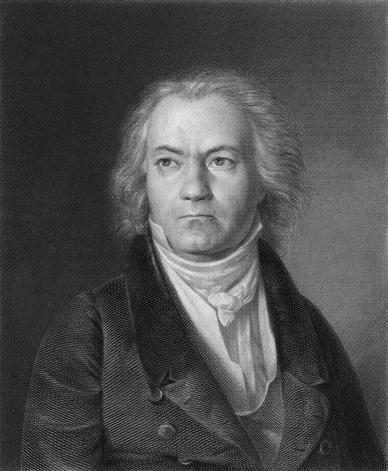 Timeline, 2005 and 2010: Literary folk have often noted the passion and emotion of Ludwig van Beethoven’s works. Lucy Honeychurch, the heroine of E.M. Forster’s A Room with a View, became “peevish” after playing Beethoven, and of course there’s the famous hooligan Alex from A Clockwork Orange, who was roused to stunning displays of violence after hearing “Ludwig van.” Given Beethoven’s own behavior, which was punctuated by violent rages, frequent sudden outbursts, and wandering the streets humming loudly, it’s not surprising that his music would communicate his passion. A study in 2005 (news release here) yielded results that suggested that much of his anger, however, was attributable to the effects of heavy metal…specifically, lead. Beethoven became sick in his 20s (he also went deaf in his 20s), and suffered until his death at the age of 56 from a variety of illnesses, including chronic diarrhea and other stomach ailments. His death was lingering and painful, and some people thought that he had suffered from syphilis. Yet now many of his symptoms fit the classic description of slow lead poisoning. Among the effects of lead poisoning are irritability, aggressive behavior, headaches, and abdominal pain and cramping, all of which Beethoven experienced. Some samples of the great composer’s hair and skull are available today for sophisticated testing for metals. A Viennese doctor apparently snagged a few fragments of his skull 142 years ago and the pieces eventually made their way through the family to a California businessman. The hairs were cut by a student soon after Beethoven died and ended up at a Sotheby’s auction. A few years ago, tests on the hairs suggested that Beethoven’s body harbored high levels of lead—hair accumulates and retains such toxins better than any other tissue—but because the testing method destroyed the hair, further tests were not completed. Wobbling electrons solve the mystery? Since that time, a powerful new X-ray technique has become available. The Department of Energy’s Argonne National Laboratory owns the X-ray. In the facility, subatomic particles fly through a tubular tunnel almost at the speed of light, emitting as they travel X-rays 100 times brighter than the sun’s surface. These X-rays can bounce off of the surface of even a tiny sample. As they bounce off of the sample, electrons wobble out of place, releasing energy in a pattern that is specific to the atom being bombarded. Researchers were interested in Beethoven’s hair and skull pieces. The team that evaluated the samples actually works on developing bacteria that can take up heavy metals and render them relatively harmless; such organisms would be useful in environmental detoxification. They placed Beethoven’s hair in their high-powered X-ray. The electrons wobbled and the pattern indicated that Beethoven was simply full of lead. In fact, they reported that the poor man had about 60 parts per million of lead in his body, which is 100 times normal levels. It certainly was enough to make a person manifest the various symptoms that characterized most of Beethoven’s life. The team also looked for a pattern that arsenic would emit, and they found none. This result seemed to exonerate Beethoven from having had syphilis, since arsenic would have been the treatment of choice for such an ailment. At the time the study results were revealed, ideas about how did Beethoven built up so much lead abounded. Some suggested that his body was less able than normal to rid itself of the heavy metal, through which he’d have been exposed by many channels. His stomach problems and temperament led him to consume much wine, and the vessels for drinking wine contained lead. In addition, his medicines probably were stored in lead-lined bottles or vials, and he may well have visited spas—for his health, ironically—at which he consumed or swam in mineral water containing lead. In one report, Beethoven’s poor doctor was identified as the likely culprit in his demise. Fast-forward five years to 2010. A deeper analysis (news release here) of the bone fragments from Beethoven’s school indicated that his lead levels were not that spectacular. The bone is the reservoir for most of the lead the body takes up, and Beethoven’s bones simply didn’t have enough to have caused his various physical ailments. While the experts seemed to be in agreement that the results point away from lead, a new heavy metal mystery arose from the results. One skull fragment they tested had about 13 mcg of lead per gram of bone, nothing to write home about, while another sample turned up with 48 micrograms per gram, a much higher level. Nevertheless, we must look elsewhere for what killed one of the world’s greatest western composers. Ideas being tossed around include lupus and heart disease. What we do know is that he lived in terrible pain, both from his maladies and from the treatments designed to help, including pouring hot oil in his ears, according to one Beethoven scholar quoted in the New York Times. Heavy metals have featured in other historical whodunits. For example, Napoleon reportedly died of stomach cancer during his exile on Elba, but one analysis showed that he actually died of slow arsenic poisoning, suggested to have been at the hand of his closest assistant. Then, much like Beethoven’s story, a later study showed that arsenic likely played no role in the great general’s death. No legal limit for bats? Timeline, 2010: People with a blood alcohol level of 0.3 percent are undeniably kneewalking, dangerously drunk. In fact, in all 50 states in the US, the cutoff for official intoxication while driving is 0.08, almost a quarter of that amount. But what has people staggering and driving deadly appears to have no effect whatsoever on some bat species. Why, you may be wondering, would anyone ask this question about bats in the first place? Bats are not notorious alcoholics. But the bat species that dine on fruit or nectar frequently encounter food of the fermented sort, meaning that with every meal, they may also imbibe a martini or two worth of ethanol. Recognizing this exposure, researchers hypothesized that the bats would suffer impairments similar to those that humans experience when they overindulge. To test this, they selected 106 bats representing six bat species in northern Belize. Some of the bats got a simple sugar-water treat, but the other bats drank up enough ethanol to produce a blood alcohol level of more than 0.3 percent. Then, the bats got the batty version of a field sobriety test. Bats navigate by echolocation, bouncing sound waves off of nearby objects to identify their location. To determine if the alcohol affected the bats’ navigation skills and jammed the sonar, the researchers festooned a ceiling with dangling plastic chains. The test was to see if the animals could maneuver around the chains while under the influence of a great deal of alcohol. To their surprise, the scientists found that the drunk bats did just as well as the sober ones. Interestingly, the bats did show a human-like variation in their alcohol tolerance, with some bats showing higher levels of intoxication than others. But one question that arises from these results is, Why would bats have such an enormous alcohol tolerance? As it turns out, not all of them do. These New World bats could, it seems, drink their Old World cousins under the table. Previous research with Old World bats from Egypt found that those animals weren’t so great at holding their drink. Thus, it seems that different bat species have different capacities for handling—and functioning under the influence of—alcohol. One potential explanation the investigators offer for this difference is the availability of the food itself. In some areas, fruit is widely available at all times, meaning that the bats that live there are continually exposed to ethanol in their diet. Since they can’t exactly stop eating, there may have been some selection for those bats who could get drunk but still manage to fly their way home or to more food. 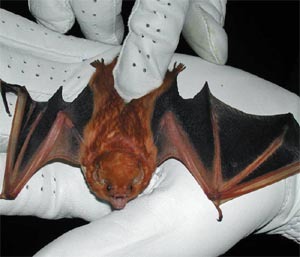 In other bat-inhabited areas, however, the food sources vary, and these animals may not experience a daily exposure to intoxication-inducing foods. This study may be one of the first to identify a potential role for alcohol in the speciation of a taxon. Bats as a group underwent a broad adaptive radiation, meaning that there was a burst of speciation as different bat species evolved in different niches. Factors driving this burst are thought to have included different types of fruit; for example, tough fruits require different bat dentition features compared to soft fruits. Now, it seems that alcohol availability may also have played a role in geographical variation of alcohol tolerance in bats. Bats with greater tolerance would have been able to exploit a readily available supply of alcohol-laden foods. What’s next in drunk-animal research? The investigators who made this unexpected bat discovery have a new animal target—flying foxes, which aren’t really foxes at all but yet another species of bat that lives in West Africa. We’ll have to wait and see how these Old World bats compare to the New World varieties when it comes to holding their liquor. 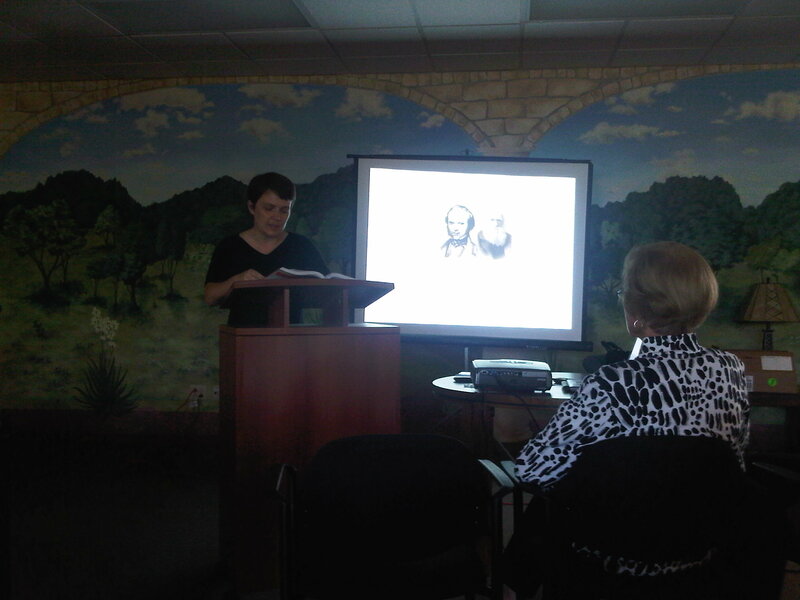 Today, I did my first reading/teaching presentation from The Complete Idiot’s Guide to College Biology. Below are a couple of excerpts from what I read today. Evolution, a change in a population over time, can be a controversial concept, and things were no different when Darwin first proposed his theory of how evolution happens. Since that time, we’ve identified several other ways by which evolution can occur. Scientists have synthesized natural selection and genetics and worked out a way to identify if evolution is happening in a population. Charles Darwin was born on February 12, 1809, into a society with fixed ideas about the role of divinity–specifically the Christian God–in nature. Darwin’s destiny, as it turned out, was to address nature’s role in nature, rather than God’s. He was not completely comfortable in some respects with that destiny, but this man was born with his ear to the ground, listening to Nature’s heartbeat. He was born to bring to us a greater understanding of how nature fashions living things. Yet, he did not emerge into a howling wilderness of antiscientific resistance. Scientists and philosophers who had come before him had posited bits and pieces of what would become Darwin’s own theory of how evolution happens. But it required Charles Darwin to synthesize those bits and pieces–some of them his own, gathered on the significant voyage of his lifetime–to bring us a complete idea of how nature shapes new species from existing life. Alfred Russel Wallace developed the theory of evolution by natural selection at the same time as Darwin. His road to enlightenment came via his observations on another island chain, the Malay Archipelago. Like Darwin, Wallace was a naturalist savant, and on this archipelago alone, he managed to collect and describe tens of thousands of beetle specimens. He, too, had read Malthus and under that influence had begun to formulate ideas very similar to Darwin’s. The British scientific community of the nineteenth century was a relatively small world, and Wallace and Darwin knew one another. In fact, they knew each other well enough to co-present their ideas about natural selection and evolution in 1858. Nevertheless, Wallace did not achieve Darwin’s profile in the field of evolution and thus today does not have his name inscribed inside a fish-shaped car decal. The primary reason is likely that Darwin literally wrote the book on the theory of evolution by means of natural selection. Wallace, on the other hand, published a best seller on the Malay Archipelago. DNA, as the central molecule of heredity, is key to many aspects of our lives (besides, obviously, encoding our genes). Medicines and therapies are based on it. TV shows and movies practically feature it as a main character. We profile it from before we’re born until after we die, using it to figure out what’s wrong, what’s right, what’s what when it comes to who we are, and what makes us different and the same. But it wasn’t so long ago that we weren’t even sure that DNA was the molecule of heredity, and it was even more recently that we finally started unlocking the secrets of how its genetic material is copied for passing along to offspring. The modern-day DNA story is dynamic and fascinating. But it can’t compare to the tale of the trials, tribulations, and downright open hostilities that accompanied our recognition of its significance. Our understanding started with mice. In the 1920s, a British medical officer named Frederick Griffith performed a series of important experiments. His goal was to figure out the active factor in a strain of bacteria that could give mice pneumonia and kill them. His bacteria of choice were Streptococcus pneumoniae, available in two strains. One strain infects and kills mice and thus is pathogenic, or disease causing. These bacteria also have a protein capsule enclosing each cell, leading to their designation as the Smooth, or S, strain. The other strain is the R, or rough, strain because it lacks a capsule. The R strain also is not deadly. Wondering whether or not the S strain’s killer abilities would survive the death of the bacteria themselves, he first heat-killed the S strain bacteria. (Temperature changes can cause molecules to unravel and become nonfunctional, “killing” them.) He then injected his mice with the dead germs. The mice stayed perky and alive. Griffith mixed the dead, heat-killed S strain bacteria with the living, R-strain bacteria and injected the mice again. Those ill-fated animals died. Griffith found living S strain cells in these rodents that had never been injected with live S strain bacteria. With dead mice all around him, Griffith had discovered that something in the pathogenic S strain had survived the heat death. The living R strain bacteria had picked up that something, leading to their transformation into the deadly, pathogenic S strain in the mice. It was 1928, and the question that emerged from his findings was, What is the transforming molecule? What, in other words, is the molecule of heredity? A fiery debate tore through the ranks of molecular biologists and geneticists in the early twentieth century, arguing about whether proteins or DNA were the molecules of heredity. The protein folk had a point. With 20 possible amino acids, proteins offer far more different possible combinations and resulting molecules than do the four letters (nucleotide building blocks) of the DNA alphabet. Protein advocates argued that the molecule with the most building blocks was likely responsible for life’s diversity. In a way, they were right. Proteins underlie our variation. But they were also fundamentally wrong. Proteins differ because of differences in the molecule that holds the code for building them. And that molecule is DNA. Like what you’ve read? Read the rest in The Complete Idiot’s Guide to College Biology. Timeline, 2008: We tend to think of a few things we do as being uniquely human. And then we keep finding other organisms that can do them, too. Walking on two legs? Meet the orangutan, walking upright in the trees. Tool use? Crows can make a hook to fish meat out of a tube. The ability to talk? Seems that Neanderthals might have had that, also. OK, well what about counting, having number sense? Baby chickens share this trait with us. To the growing list of other animals that do as well—which includes dolphins, rats, and some monkeys—you can now add the mosquitofish. Yes, apparently fish can also count, in some cases as well as infants ages 6 to 12 months. In fact, when compared to some natives of the Amazon, the Munduruku, which have limited number language, the fish may even be comparable. The Munduruku people see no value in having a construct for counting beyond five. The mosquitofish, on the other hand, can count about that high and estimate with even higher numbers. Number sense can be broken down into three paths of perception. We can visually estimate what we see, as people do when they report crowd counts for huge parades or demonstrations. We can also visually count individual units, as we might do just looking at the fingers on one hand. And humans also have the ability to verbally count, theoretically to infinity given sufficient time. 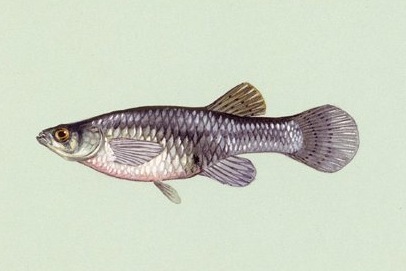 While mosquitofish obviously do not count out loud, they do appear to have visual estimation and counting abilities. Their estimation abilities first emerged as a result of sexual harassment. Researchers studying the guppy-like fish noticed that when a male harassed a female, the female fish would take refuge with a group of fish nearby. If there was a choice of groups, or shoals, of different sizes, she would choose the larger of the two. Of course, her ability to tell “larger” might have had nothing to do with actual numbers but instead with the area that the fish occupied. To assess this possibility, researchers performed a number of complex experiments. Their results showed that the females were not relying in occupied area to figure out which group had more fish. They really were using visual number estimation to decide. In fact, they seem to use ratios in their determinations, but the ratios need to meet a threshold of difference for the estimations to work. For example, a mosquitofish seems able to distinguish a group of 16 fish as being larger than a group of 8 fish, a ratio of 2:1. But the fish cannot tell a group of 12 from a group of 8, proving unable to distinguish a 3:2 ratio. With lesser numbers, up to about four, however, the fish discard visual estimation and rely instead on actual visual counting. In what really was a clever set of experiments, the research team let an individual female fish spend an hour exploring two areas of an aquarium. In one area, she could see a group of four fish but could only see each fish one at a time. In the other area was a group of three fish, again only visible to the female one at a time. After letting her explore, the researchers then determined where the female spent more time. The fish spent about twice as long swimming close to the larger group. In other words, the fish seems to have counted the number of individuals in each group and based on their counting, figured out which area of the aquarium had the larger group. To get in tune with how meaningful this ability is, visualize the experiment yourself as a human (you’re human, right?). Stand in front of two open doorways. In one doorway, four people appear, one at a time. In the other doorway, three people appear, one at a time. You can count them, distinguishing each different individual, and can tell which doorway leads to the larger group of people. That’s how smart the mosquitofish is. Timeline, 2007: My oldest son is like Linus. He will not part with his “fuzzy,” a blanket that has now survived almost six years of nightlong hugging, trips by plane, train, and automobile, a lonely overnight at a Gymboree, and endless variations on superheroes, ghosts, and pirate headwraps. A professor at the University of Bristol, working with another researcher from Yale, found that children appear to attach a property beyond the physical to these objects of their sleepytime need. The two professors, Bruce Hood and Paul Bloom (of Yale), tested children ages 3 to 6 who had an attachment toy, something that they slept with regularly and had owned for at least one-third of their lives. For the study, the grownups played a trick on the children. They showed the kids a conjurer’s box with a lot of fancy knobs on it and told them that it was a copying machine that could duplicate objects. To demonstrate, the grownups placed a green block in the machine, fooled around with some of the knobs, and made the first box buzz. Then, the second box of the machine buzzed, and when the doors opened, there was an identical green block behind door number 2. Another group of children had brought nonattachment objects for the study. Every child consented to the copying process, and when it came time to choose between their object and the “duplicate,” almost two-thirds opted for the “new” version. Once the study was completed, all children learned that the object they had selected was, in fact, their original toy or blanket. What drives this kind of irrational, magical thinking? According to Hood, from the University of Bristol, humans are evolved to seek explanations for what cannot be seen, such as gravity. Because mechanisms for many natural phenomena cannot be directly observed but must be inferred, we rely heavily on our intuitive thinking to reach conclusions. This reliance leaves the door open to believing supernatural explanations for what we otherwise cannot explain. Attachment objects may be a substitute for a child who sleeps separately from his mother. But children also appear to confer on the object an “essence,” some meaning beyond its physical worth, something that makes it different from an exact physical duplicate. Children are not alone in their reliance on credulity. Grownups use superstition as a way to cope with situations or feel more control over them or to explain the unexplainable. Hood demonstrated the adult tendency to believe an “essence” very clearly in a recent presentation. He offered audience members the chance to earned a quick $25 just for putting on a worn old blue cardigan. Numerous volunteers raised their hands. When he then mentioned that the cardigan had been the property of a notorious mass murderer, most volunteer hands disappeared. The few people who did put on the sweater, which had not really belonged to a murderer, found that the other members of the audience avoided them while they wore it. Scientists are not immune—plenty of us would simply refuse to exchange our wedding rings for an exact copy, for example, even though physically, it is no different from the original we wear on our ring finger.